Hello Friends! Today I'm back with my next page from Project 52 ~ 2019 edition! 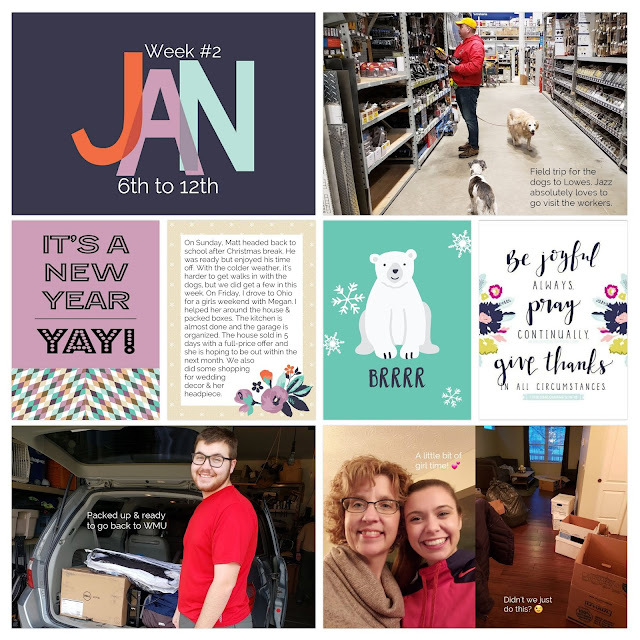 I used the new Project 12 January 2019 kit from the Project Life App. I'm loving the look of this kit and hope that future months have a similar vibe.